Xinxiang Tianfeng Machinery Manufacture Co.ltd. is a leading manufacturer for steel plate coiling machinery,cold-bending & rolling steel plate shaping machineries and automatic production lines.The products are mainly used in steel structure industry for producing C&Z type purlin,colored wall and floor protecting steel plate, thermal insulating plate and load-bearing plate of buildings, and other complementary thin wall cold-bending shaped seel plates,expressway railings, colorful decorating and protecting steel plates for high-grade steel stucture residendces. Tianfeng has advanced producion equipment. Engineering personnel and echnicians of Tianfeng are rich in experience of designing, developing, and manufacturing of machineries.They pay close atention to and keep up with the developing trend of technologies and adopt new technologies in the manufacturing of our machinery products, to keep them competitiveness. The products are characteristic of high efficiency, high fiexiblity and low production cost. 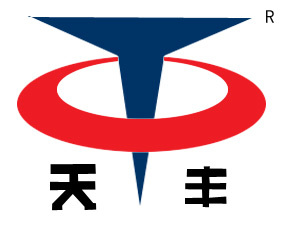 Benefited trom customers is the first, success of Tianfeng comes from success and development of our customers. We bear this in mind in the whole process from design and development of product to after-sales service. We will design and manufacture the machinery strictly in accordance with your requirements. Tianfeng lies in China, the biggest developing country of the world, familiar with machinery industry especially steel plate processing indusry of developing counties. The company produce steel plate processing machineries suitable developing countries as far as price and automantion degree are concerned, saving time and funds for our customers.